← Calling All Local Musicians! Been a busy week for us TTWUke girls as it is coming towards the end of the school term and as our day job is music tutors we are here there and everywhere with school fetes and concerts! Fortunately our week was broken up by a lovely afternoon spent tucked under an umbrella ukeing in the rain! It was my (me being the vocal half of ttwuke, Stacey!) brother in laws shop launch in Blandford Forum, Dorset and we were invited to provide some entertainment for the event! We ain’t scared of no rain! We had a fantastic time and enjoyed visiting a new town, something we are lucky enough to do on a regular basis as part of our wonderful job! 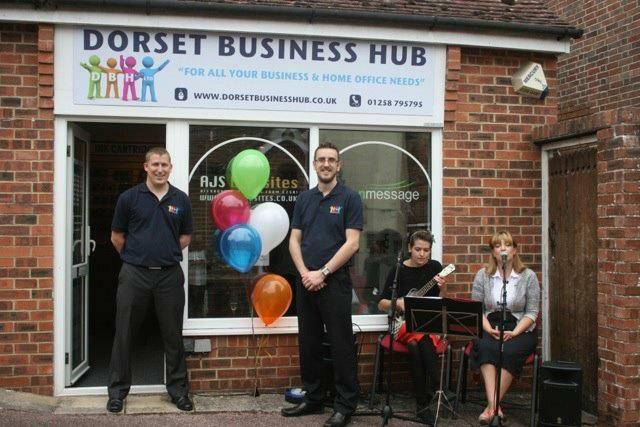 Dorset Business Hub is run by two technology professionals and houses a fantastic range of cut-price stationary as well as being the base of AJS Websites and greenmessage marketing services. For more info visit their website…. www.dorsetbusinesshub.co.uk. 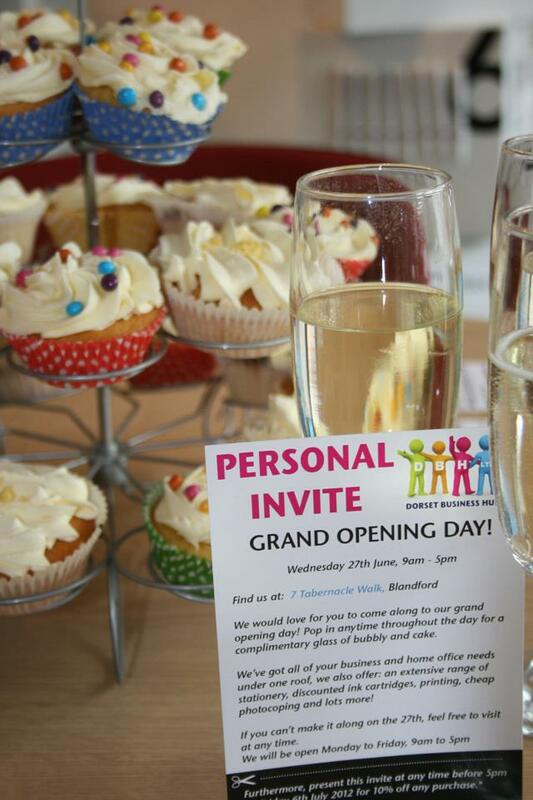 I was chuffed to be able to stock up on all my office bits and pieces at a bargain price and we were also treated to bubbly and homemade baking! All in all a great day! 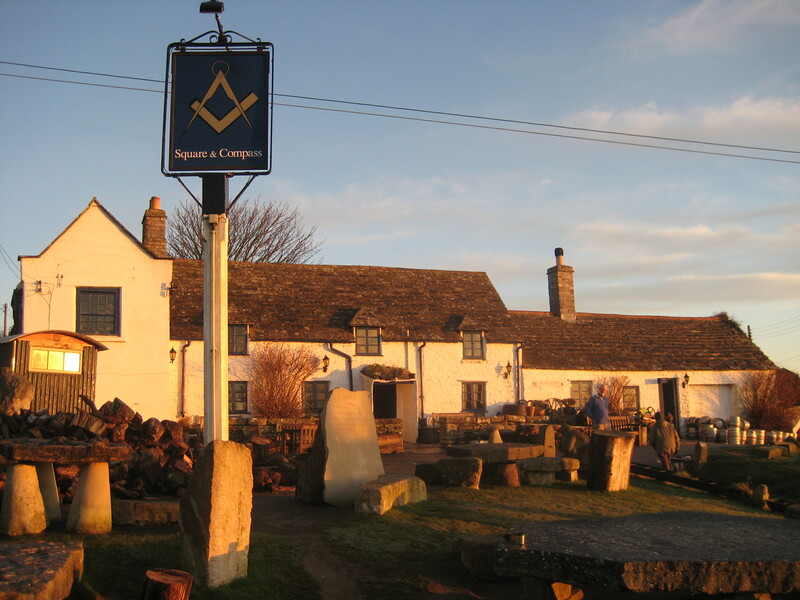 If you are free on Sunday come along and join us at the Square Uke Fest at The Square and Compass Pub, Worth Matravers, Dorset. It is a weekend long shindig and is set to be fantastic! We are playing the lunch slot from 1pm on Sunday and if the good old British Summer Rainclouds rear their ugly heads we have a marquee so there is no excuse! From the Uke fest we are off to play at a wedding reception which we are super excited about! So all in all a bloomin lovely start to our summer wouldn’t you agree? Hope to see some of you over the weekend!